There is the belief that sporting talent will emerge regardless of the opportunities available. This turns into a self-perpetuating myth where those who aren’t perceived to be talented from an early age aren’t put forward to try different sports. This ultimately means that any abilities they do possess go undiscovered. This is especially the case for boys who don’t exhibit any particular ability in football. And this was also the case for Matthew Croker. “I was the classic ‘last boy to be chosen’ when playing football with my friends,” he recalls. All that changed, however, when he was nine. “My brother was training with the school team and the late Fr Frank Clifton asked me to join the group. “You can imagine how, on Fr Clifton’s invitation that day, I became super excited. “It was the first time I was actually asked to join a sporting activity. “I can’t recall whether I had done well in that session, but I do remember that all of a sudden I felt like I had found my space. “A year later I became a Savio College student, and the framework back then was ideal for me to continue developing. “I had become fully committed to train and I was also seeing very good results so it became addictive. “Definitely, Fr Clifton’s gentle character and empowering spirit played a crucial role in me sticking to the sport until this day. “He used to make sure I trained every day and taught me the discipline of balancing school commitments with sporting achievements. There is hardly a stronger message than that, regardless of the level an athlete is competing at. In Croker’s case, it is the highest possible one as far as local athletics is concerned. He is one of the leading lights in the 400m as well as the middle distance. Apart from the satisfaction derived from the discipline of training, his career has provided plenty of joyful moments. “Moments I will always cherish are when I broke the youths’ national 400m record back in 2004 for the second time, placing fifth in the National Championships at the age of 15 in a race that had some of Malta’s greatest, including Mario Bonello, Nikolai Portelli, and Karl Farrugia,” Croker said. The highlight of the current season has been the Athletics Championships of the Small States of Europe, held in Malta earlier this month. “They were a very positive experience in general,” he said. “First of all, having countries like Georgia, Azerbaijan, Armenia and the like does stretch the definition of ‘small state’, but was very beneficial for us since it provided even stronger opposition. “Secondly, the MAAA (Athletics Malta) did a great job in organising the event – which was no easy task as it had to set the right standard for these new championships. “It was good to run for my country in front of my family and friends, even though I would have loved to see more Maltese supporters at the stadium. “My 800m race was a very tough one and I’m glad I improved my time to 1’53”92 which means that I have managed to enter the elite club of sub-1’54 runners in Maltese athletics history. Ultimately, his ambition is a lofty one. 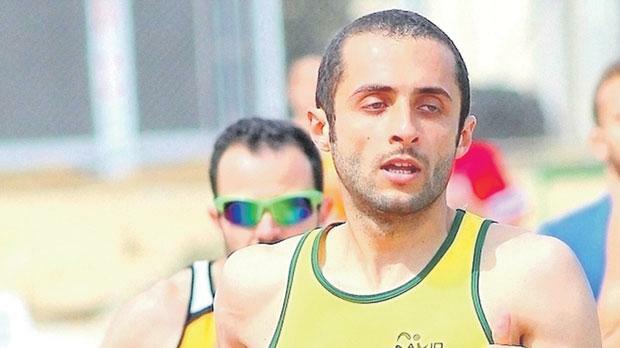 “There is one target any Maltese 800m runner has… that of breaking Xandru Grech’s national record, and I believe that I’m closer than ever to achieve that this year,” he said.